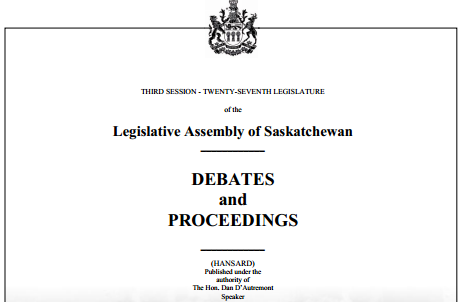 The Saskatchewan Athletics Commission Act, which will legalize pro MMA and other combat sports in the Province, is up for second reading and is presently being debated by the Saskatchewan government. It appears there is momentum in place and the law will likely pass but there is debate about the particulars of the proposed law. Now is an opportune time for stakeholders in the MMA community in Saskatchewan to contact their MLA to ensure your feedback is received. Some of the more interesting concerns noted relate to the possible need for a Fighter’s Association and also disability benefits for competitors. Regarding a Fighter’s Association MLA Buckely Belanger commented that a lifetime in contact sports can take its toll and “I think a lot of players recognize that and that’s why you have the NHL Players’ Association to look after their members. And you would assume and hope that a commission of this sort that looks after the mixed martial arts fight contests, that they also look after their participants as well. I think that goes without saying that it’s something that’s really, really important when it comes to this particular art itself“.